April 17-22 and again May 2-7: Butch Wicks, retired school teacher and experienced fishing guide will conduct two “Fish Like a Guide, But Live Like a Client” schools at Healing Waters Lodge. 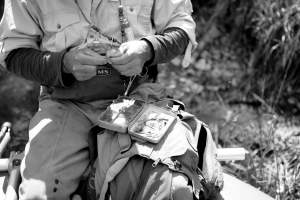 Butch enjoys technical match the hatch type of fishing and is really at home on our spring creeks. Cost includes single room occupancy and all meals at Healing Waters Lodge for six nights and five days, classroom instruction and guided fishing, one day of spring creek or private water, flies and use of Lodge fly fishing equipment. Please call Mike Geary at 406-459-2030 today for more information.